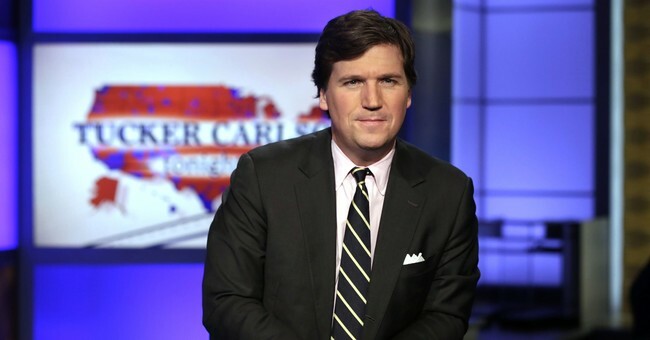 As you know, Antifa members terrified Fox News host Tucker Carlson's family this week. Offended by his conservative talking points, they harassed his family at their private home. "Leave town," "you are not safe," and "we know where you sleep at night," they chanted outside his door. Carlson nor his children were at home, but his wife was. "Someone started throwing himself against the front door and actually cracked the front door,” Carlson told The Washington Post. The scene was so terrifying that his wife hid in their pantry. Late night host Stephen Colbert, who does not share Carlson's conservative ideology, nevertheless felt compelled to stand up for the Fox host's right to privacy. Another outspoken celebrity, Alyssa Milano, agreed. Carlson is not the first conservative figure to have been publicly harassed this past year. White House Press Secretary Sarah Huckabee Sanders and Sens. Ted Cruz (R-TX) were chased out of restaurants. Senate Majority Leader Mitch McConnell was shouted at about immigration. Education Secretary Betsy DeVos has been accused of "protecting rapists" for making changes to Title IX and blocked from entering buildings. DHS Secretary Kirstjen Nielsen was heckled while trying to enjoy dinner. Sen. Susan Collins (R-ME) received mailed death threats after voting for President Trump's Supreme Court nominee Brett Kavanaugh. All of the above public figures, in addition to Carlson and his family, deserve privacy and safety. Carlson did emerge from the situation with a glimmer of hope. "Most people are not lunatics," he said on Fox Thursday. "Most people are humane, and decent and kind."